It's a recolour of the Maxi counter. The lamps you can find under Lightning/Tablelamp for 50 Simoleans each. Petunia Mae Witherbottom for testing and taking pictures after my game broke down. Thank you very much, dearest SiC! Most of all to my Creator who gave me the ability to do this. This set is in memory of my beloved prayer partner. I feel incomplete without my dearest Nonni. A week before Nonni's passing she asked me to recolour some walls and floors, curtains, rugs and armchairs for her. She wanted mix and match sets for some Maxis bedding as well as for some of her favourite custom bedding. Sadly she never had the chance to send me her bedding textures. I am so sad I can't do ones she really wanted. In the pictures I used, as endtable, Rebecah's bedding matching roundtable. 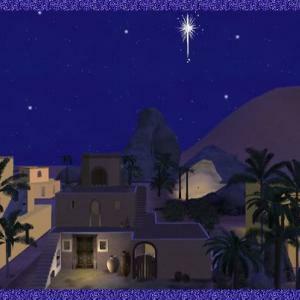 I included it in the downloads file. 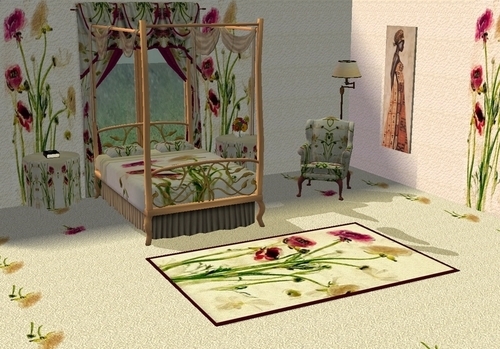 Pierre requested his grandmother's bedroom set for The Sims 2. The bed is a recolour of the expensive bed in game and I used Beck's Queen Size bed with floor length bedding for the pictures. Both files are included in the downloads file. A While ago Nonni told me she wanted her simmie kiddies to play in the meadow. That was my inspiration for these kids room deco stuff Thank you, Nonni! ***UPDATE*** Added alternate gold dress outfit with baby doll outfits in gold outfit download.This is a Disney Princess nursery set, that also includes bedding and curtains, and two pink and gold toddler dresses to go with the baby doll's dress.The set includes two sets of curtains, the Victorian Velvet, and the Veil of Dreams curtains, two toyboxes, one pale pink version of the Castle toy box from Family Fun Stuff, and one Castle one with the Disney Princess design. It has Disney Princess bedding, a crib, a changing table, a highchair, and a potty chair. There is an activity table that requires Irma's default replacement activity table mesh and Freetime, and a dollhouse that requires Snowstorm's recolorable dollhouse mesh, and the baby doll is Rebecah's baby doll dressed mesh.. All three of the meshes are available for download in the downloads list, as well as a complete Disney Princess set, and the toddler girl outfits and baby doll recolors, which are in their own zip file. I would recommend the full set of recolors for Rebecah's baby doll dressed mesh. All the other objects are base game meshes. 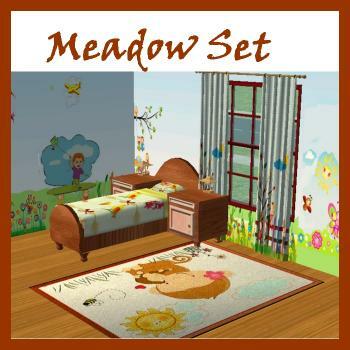 I changed it where you can download each item separately, as well as a complete furniture set, and also the toddler outfits and doll color sets can be downloaded individually, plus a combo download of the toddler outfit and matching doll sets together. I make everything with the Sims 2 Ultimate Collection bodyshop, and Simpe. The potty chair requires CEP to see the recolors. I actually made two variations of the pink dress to go with the doll's dress, so if you don't want both, just delete the one that you don't want. The dress requires Freetime. Here is a new Thomas the Tank Engine nursery set for your babies and toddlers. There is a toddler train outfit for boys with a matching teddy bear, an activity table, with the default replacement mesh by Irma available as a separate download with my other things in this set. (even if you download the complete set the meshes have to be downloaded separately in this set.) The outfit also requires a mesh by Kalynn. The mesh is also available as a separate download with my other things in this set. 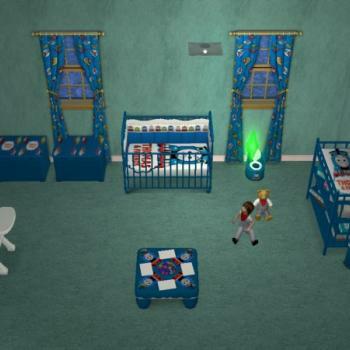 There is a crib, base game, changing table, base game, high chair, toybox, and potty, also all base game. The curtains are the Victoriana Velvet curtains. The activity table requires freetime. 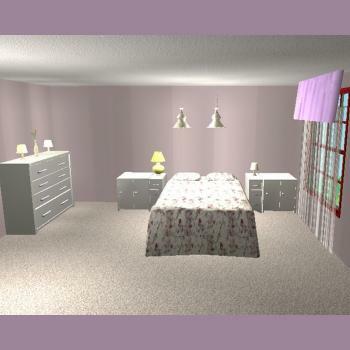 This was made with Sims 2 Ultimate Collection bodyshop and Simpe. The teddy bears are a CEP extra, and the potty chair also requires CEP. The files are available as a complete set for the recolors, with the meshes each available for download separately, and the recolors are also available for download individually as well. My very first collection of Beddings, Draperies and Jonesi Bed Blanket recolours. My favourite colour is blue, so my first collection is blue. 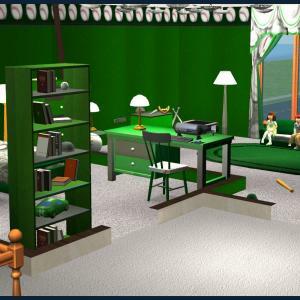 The necessary meshes are included, Jonesi, from Black Pearl Sims, the beautiful Bed Blanket, our own Rebecah fixed a small glitch and added a new length, and HL at Sims2Artists added a single bed conversion. 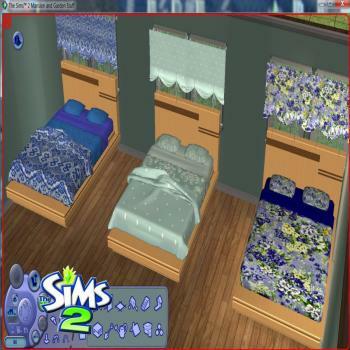 I am partial to the curtains from XMSims2, bedroom 4 and the beddings have those curtains as well as the base game TieBack Curtains. There are 15 patterns to chose from, just use Clean Installer to delete any you do not want. A HUGE "Thank You" to my wonderfully kind and patient teacher, Rebecah, without whom none of this would be possible. game separately, as most of them are uploaded as part of lots or large sets . 6. 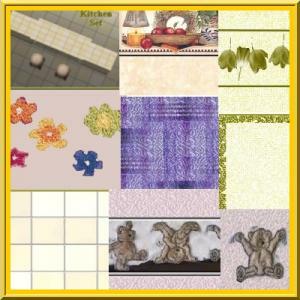 Teddybear Walls and Floors. Well it really is in real life time for all students to go back to school, so I thought I would have some fun and create a nice back to school set for your sims! Included is a decorative globe, a decorative chalkboard, and a decorative apple for teacher. There are 2 recolors of the chalkboard, and 2 recolors of the apple. The globe is unlike regular hanging decorations in that it is NOT effected by object hiding, it was cloned from something that does not hide when you zoom the camera out, so you don't have to worry about that! 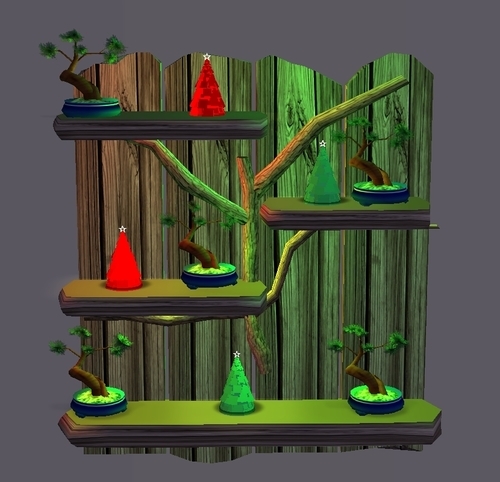 The apple mesh is taken from the in game apple from the apple tree, but made into a decorative only item. The other meshes were made by me. The textures for the globe, and chalkboard were taken from bing image search. The texture of the chalkboard trim, and globe string was made by me, apple texture of course is from the in-game apple. All of the meshes here are repository linked from the living chair in the set, so you will need the living chair in your downloads folder for the textures of the others to show up. 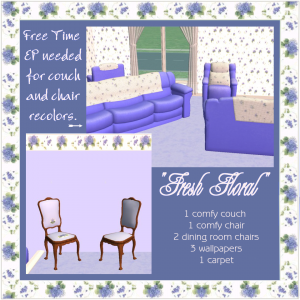 Also any future recolors of the living chair will also show up in the loveseat and sofa. The sofa, and the loveseat are not recolorable. Included is a dining chair, a dining table, a one tile desk, a two tile desk, and an end table. All of the meshes are recolorable. Feel free to include them in lots. All of the meshes are base game compatible. I created this set over three years and and was working to convert it to a Sims 3, I ended up redoing most of the meshes and textures. If you have my old set please delete it before installing this one as it will cause conflicts. There are 60 files in total, plus I created a collection file which I highly recommend that you download and install to your collection directory. Here are some shirts that I recolored a while back (a prime example of why I'm a mesher, not a clothing creator, LOL) and attempted to upload to MTS2, but they were rejected. Well, anyway, someone contacted me on MTS2 the other day and asked me to upload them here, so here they are! 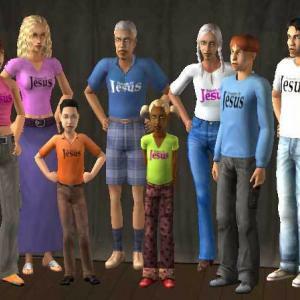 These shirts sport the "Property of Jesus" logo (after all, we are His children!) and there is a shirt for every type of sim - all the way from Toddler (not pictured) to Adult. I honestly do not remember the EP requirements - so if anyone finds that it doesn't work with a certain EP, please let me know. wall 3 floors - 1 design but 1x1, 2x2, and 5x5 door counter (cupboard) sink curtains drapes towels on rack painting (Lady on Red recolored) shower with shower curtain toilet I think all the items are base game, no EPs needed. If I am mistaken, holler and I will edit. The Reflection Floor is NOT included here - credit to Murano Mobilia for the Reflection Floors in the pictures. 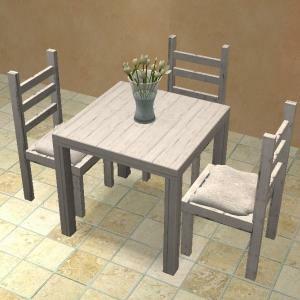 All the items only need the base game, except for the Di Bistro table and chair. They need Seasons EP. The walls and floor cost 5 Simoleans each. Wall 2 is the marble without the white on the top half. The counters also include both styles of counters, PLUS the matching island. It's a recolor of HeartDeco's pics found in the Creator Repository here. 5 Simoleans. Seasons EP needed for Bunny in a Pot, as it's recolored from the rooster hanging quilt shown in the same picture.